Cheap Patriotic Kickballs - 12 Ct.
Patriotic Kickballs - 12 Ct. Celebrate 4th of July with ease! Fun addition to any patriotic themed goody or loot bag! 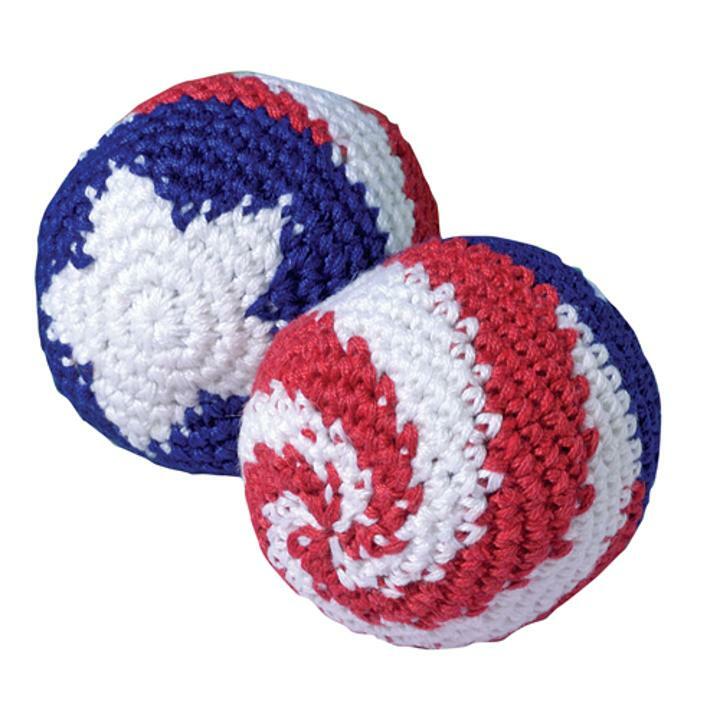 Have a hacky sack tournament at your next 4th of July party with these patriotic kickballs. Great for outdoor play, these knitted balls are filled with tiny beads and are great for kicking around. A must have party favor, hacky sack is a popular past time that improves coordination and mental endurance. A perfect way to keep the kids entertained at your next barbeque. L: 7.95 in. W: 9.9 in. H: 1.9 in.